The situation is getting better in some areas as torrential rains have let up and water levels have subsided. Aid operations are also in full swing to reach out to flood-stricken people. However, floods are persisting in several other areas and fresh warnings have been issued for a number of more cities and provinces. One of the worst-hit areas was the city of Shiraz in southern Fars province where vacationers were caught unawares. 19 have been killed so far only in Shiraz. Floods also wreaked havoc on northern provinces. In the latest development in Golestan province, a boat carrying voluntary aid workers capsized in Gamishan river. 18 were rescued, but three were killed and three others are still missing. The weather office has forecast more heavy showers and warned of deluges and landslides. Officials have urged people to avoid nonessential travel to flood-prone regions and stay away from river banks. 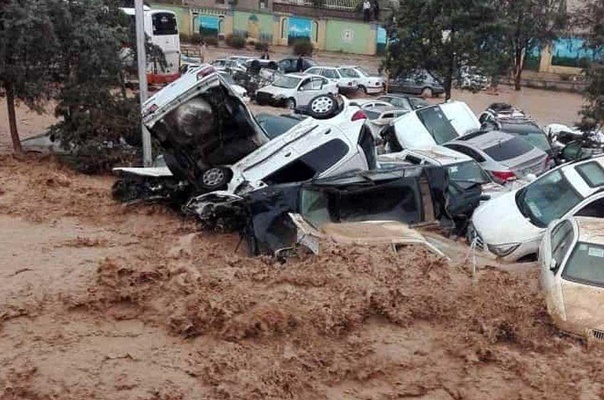 Meanwhile, Leader of the Islamic Revolution Ayatollah Seyyed Ali Khamenei, in a message, expressed condolences on the deaths of a number of people due to flooding in Shiraz. “I was saddened by the tragic incident of destructive flooding in Shiraz, which left a number of dear people dead, led to the bereavement of families, injured a number of others and inflicted damage and destruction on the city,” wrote the Leader in his message. Ayatollah Khamenei also instructed his representative in Shiraz to condole with the flood-stricken people and work hand in hand with officials to reach out to the affected people.